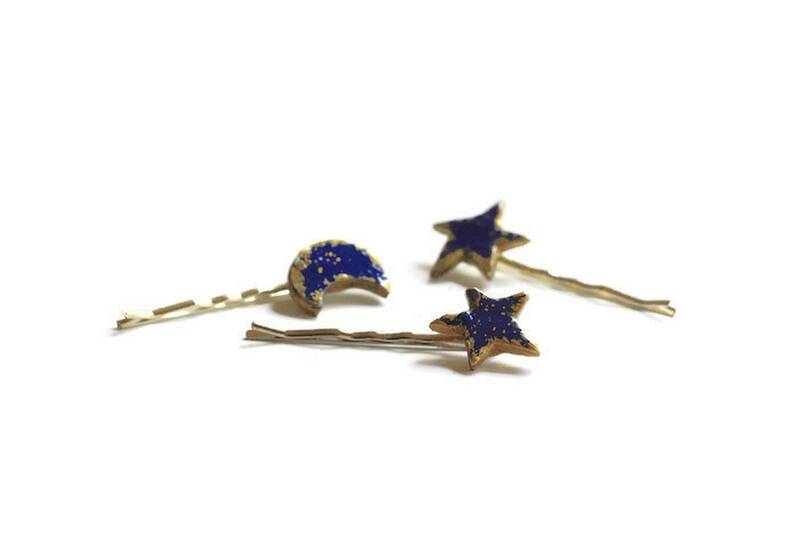 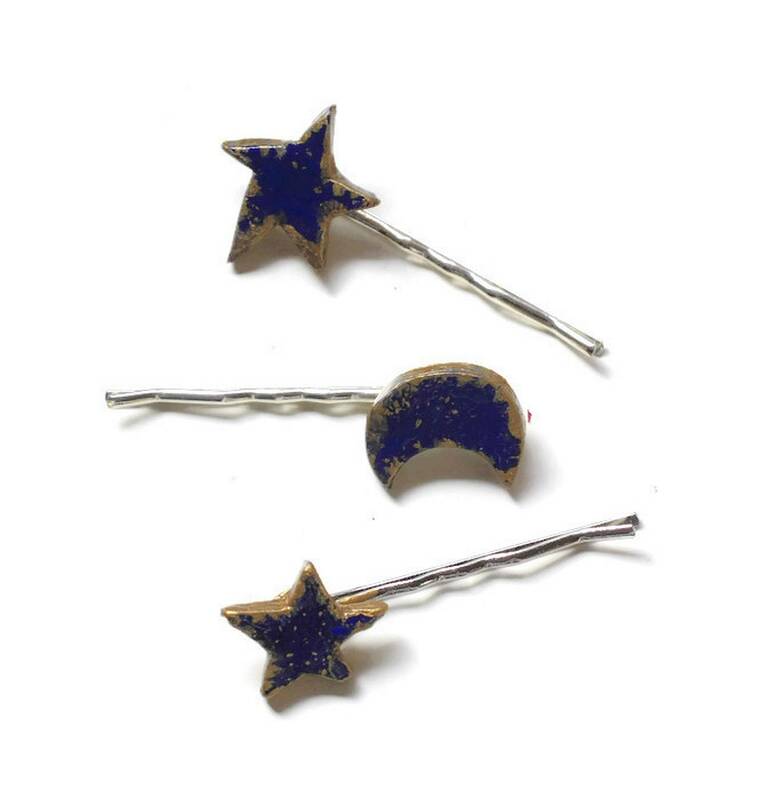 Set of Three Celestial Hair Pins. 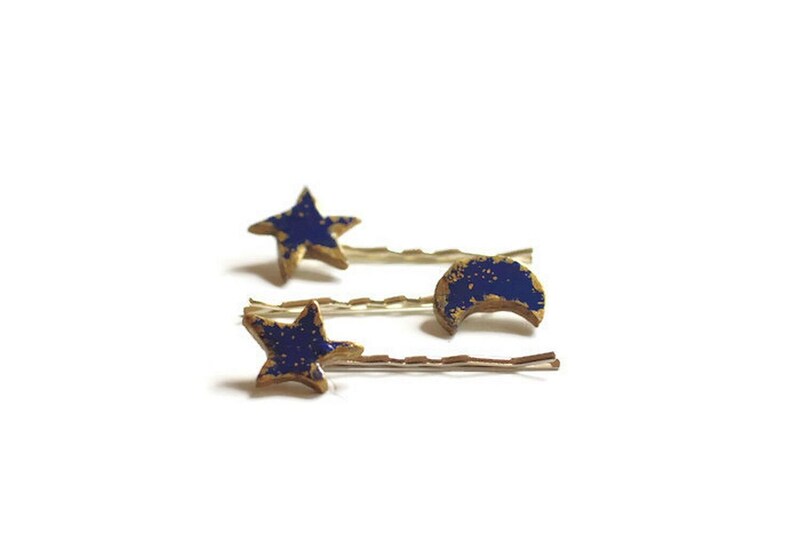 Each pin is hand cut from polymer clay, baked, then painted. 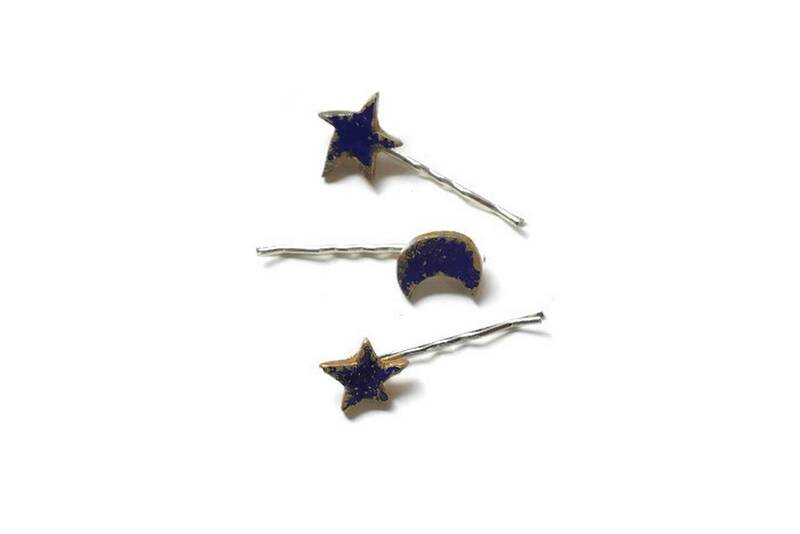 These Pins are wonderful to hold back side bangs, sprinkle in an updo and the perfect accessory for long or short hair.